One of the biggest reasons most folks invite or allow plastic into their homes is to store fruits and vegetables in the refrigerator. Disposed after one use, these bags leave the kitchen bin and head right to an ever growing pile of non-biodegradable waste. Environmental concerns aside, storing fruits & vegetables in plastic is far from hygienic not to mention plastic keeps fruits & veggies from breathing which makes them to spoil faster. We designed the Eco Veggie to address each of these concerns. They’re easily washable & reusable making them both hygienic & eco, add to that the fact that they’re made in 100% cotton allowing produce to stay fresh for longer. The reusable Eco Veggie is perfect for storing vegetables and fruits in your refrigerator. 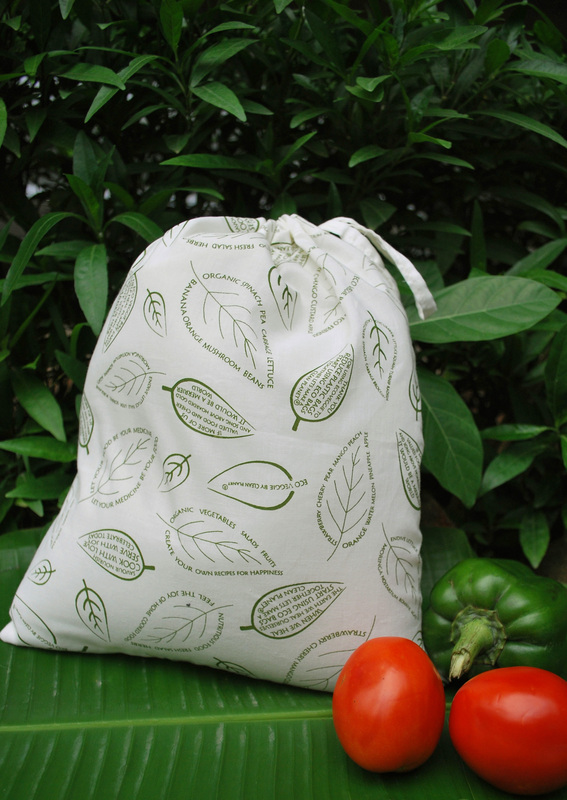 Its 100% cotton fabric keeps fruits & veggies fresher for longer . The thoughtful messages on the Eco Veggie bags spread joy..
A small step that goes a long way towards a more Sustainable World. 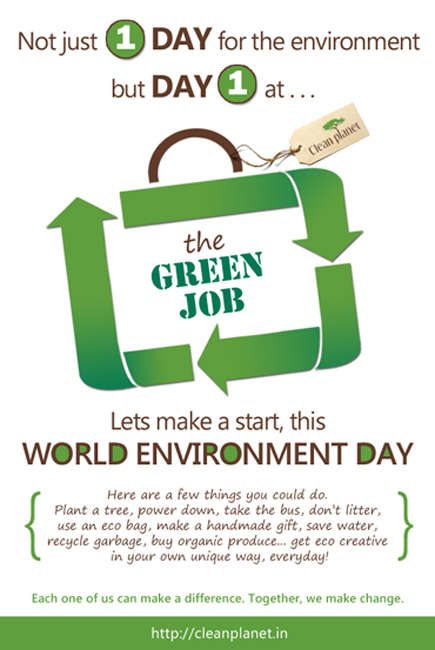 Click here to buy your Eco Veggie bags. 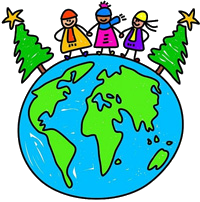 The eco alternative is to buy or make cloth bags from soft cotton fabric . In India most families would have old saris or dupattas made of soft cotton . Those can be stitched into cloth bags with a draw string . The bags can be used to store veggies . Having 10-12 bags ensures that you have enough bags to use . And a set to replace when you put one set to wash .
- Our experience shows that the vegetables tend to stay fresh longer when stored in a cotton bag . Fringe benefit – the refrigerator looks a lot more colorful with cloth bags instead of insipid white /sheer plastic bags.